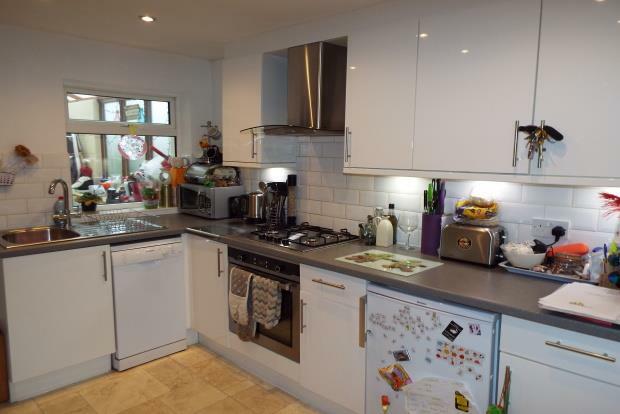 3 Bedroom House To Rent in Tonbridge for £1,100 per Calendar Month. This three bedroom house in the beautiful village of Hadlow has a lovely homely feel. Downstairs is a super living room with open arch to a modern kitchen. There is a downstair bathroom with P bath and shower over and upstairs three bedrooms. The rear garden is mainly laid to lawn and a gate at the back leads to the off road parking for a couple of cars. Just 3.5 miles from Tonbridge, the pretty village of Hadlow is still bustling,with everything you need, butcher, bakery, chemist, the list goes on. Excellent position for Hadlow College and bus routes direct to Tonbridge and surrounding areas.